Let my generic-looking knight go! 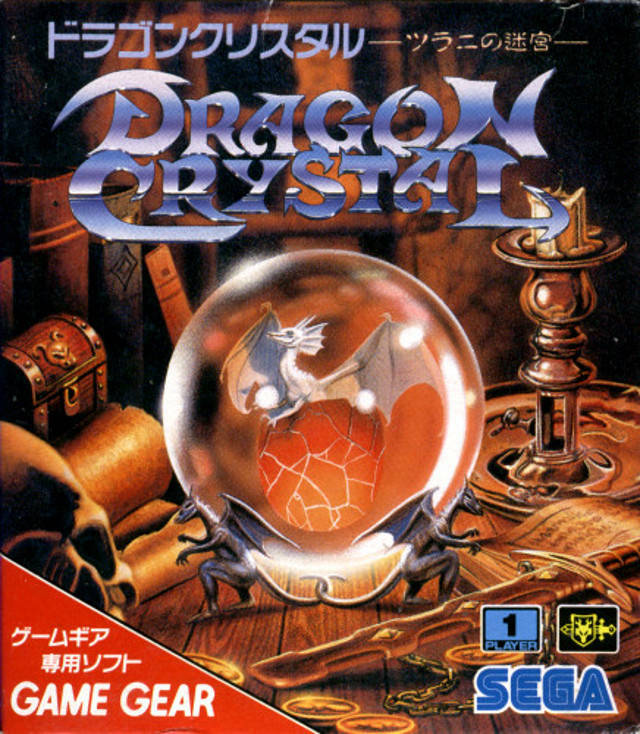 A mere month after Sega released Fatal Labyrinth for the Genesis in Japan, they also published Dragon Crystal, a portable roguelike for the Game Gear that improves upon Labyrinth‘s dungeon-crawler formula. Both games share the same structure, combat system, enemies, items, etc., but Dragon Crystal contains little of Labyrinth‘s clunkiness and strange difficulty spikes. The result is not only a more enjoyable game, but a perfect adventure for Sega’s then-new handheld. As in Labyrinth, you play a young warrior who has to explore thirty randomly generated floors, each more difficult than the last. A mysterious egg trails behind you, and eventually, after you’ve leveled up enough, births a dragon. The dragon’s purpose is intentionally vague. He never helps you in combat or at all, really, but he clearly has a purpose or else he wouldn’t be there, right? Comment section, help me out here. Collecting food, money, and any other items you see is imperative to your survival. Food in particular ensures that you stay alive. If you have enough food in your belly, your health will regenerate as you walk around. Once your food is depleted, however, your health will decrease. Collecting enough money lets you continue if you die. If you see a money bag on the ground, take it. As in real life, you can never have too much money in your purse. Weapons and armor aren’t as plentiful here as they are in Labyrinth, but the ones provided are usually better than what you’re holding. Dragon Crystal doesn’t often give armor or weapons unless they’re stronger than the ones you had before, unlike Labyrinth which dropped multiples of the same items. Beware, however, as some weapons/armor are cursed and, if equipped, will lower your stats. Neon green swords > boring old gray swords. Potions and rings should always be used with kid’s gloves. While they are able to change your stats in great and awesome ways – the Food Ring lets you eat food less often, while the Power Potion permanently boosts your attack power by 1 – they also have the power to curse you (Cursed Ring), reset your Attack Power to zero (Wither Potion), and teleport you to various rooms on the floor at random (Shift Ring). Magic books and rods, however, are almost always good. Books will do any number of things, from changing your weapon into a stronger weapon (Magi), to dizzying monsters on your current floor (Daze) to removing the curse from any cursed arms that you may have (Bless). Rods can be thrown for additional damage (Flame, Flash, Thunder), but they can also teleport you to a higher floor (Travel) and make you go down an entire level (Wither). This is not my kind of scene. Potions, rings, books, and rods must be used or thrown once in order to find out their purpose. Until they have been used/thrown, they’ll have generic names based on their color, like Blue Book, Red Potion, etc. 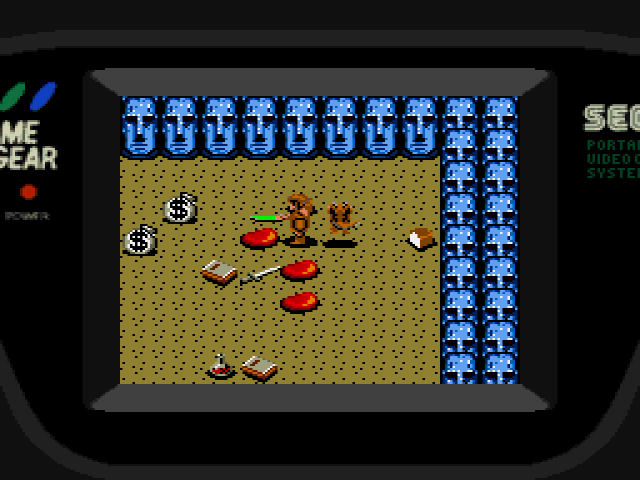 The beginning floors of the dungeon are light on enemies, so it’s best to use/throw as many as you can here. If you throw them, the item is lost until you pick up another one just like it. If you use it, you’ll either gain its benefits or suffer the consequences. Personally, I did a mix of both, though it’s definitely more of a gamble to use an item when you’re not sure what it does. Just throw the hunk of bread at the ghoul there, that’ll learn ‘im. 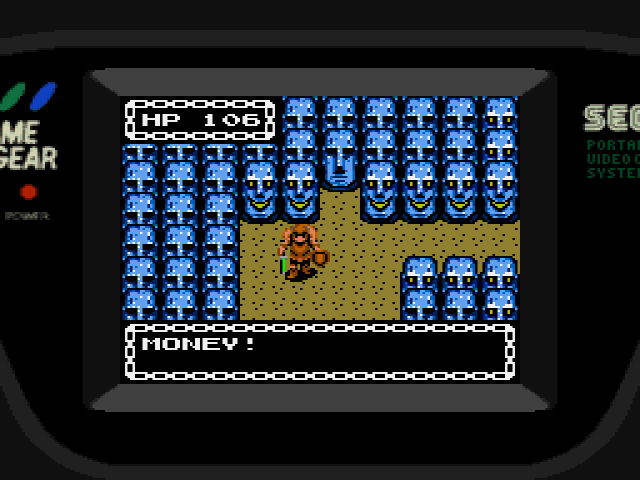 Each of Fatal Labyrinth‘s floors was set in a dark castle, while Dragon Crystal‘s floors are a mixed assortment. The game initially sets you down in a forest where you walk next to the trees to see if any pathways open up for you. As you brush up against them, the trees’ color changes from grey to green, a delicate graphical touch. When you move to the next floor, you never know where you’ll find yourself. My own journey led me through cacti-filled deserts, fields of sunflowers, and a disturbing overflow of Moai heads that grin devilishly at you. 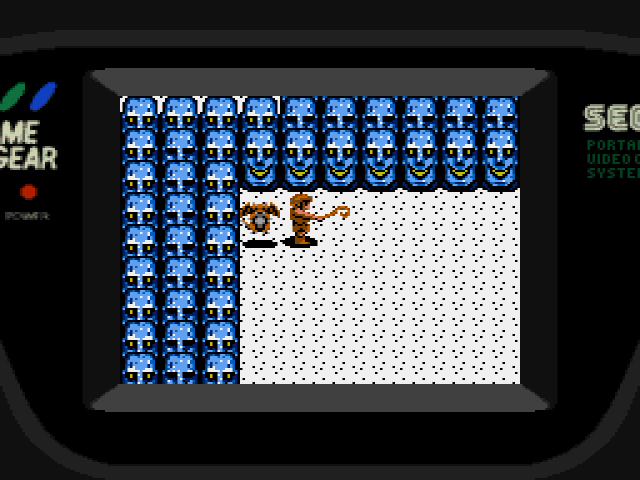 The variety of environs is a refreshing change from Fatal Labyrinth‘s consistent gloominess. The cacti bring good tidings! The realtime turn-based combat is also much improved. 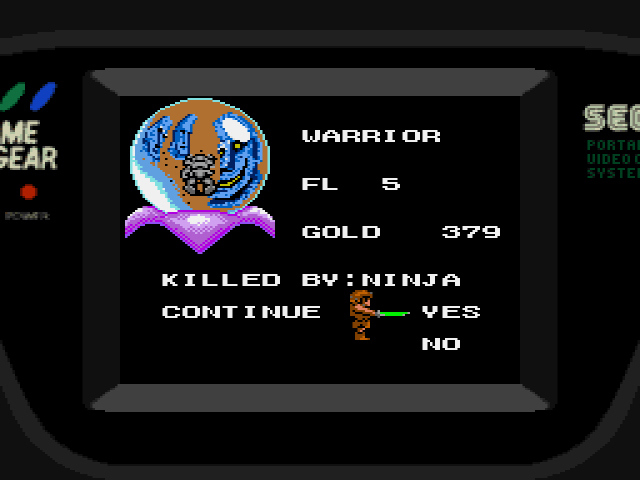 In Fatal Labyrinth, you took damage far more than your enemies did. In Dragon Crystal, your hits land nearly as often as your enemy’s, resulting in fairer fights. 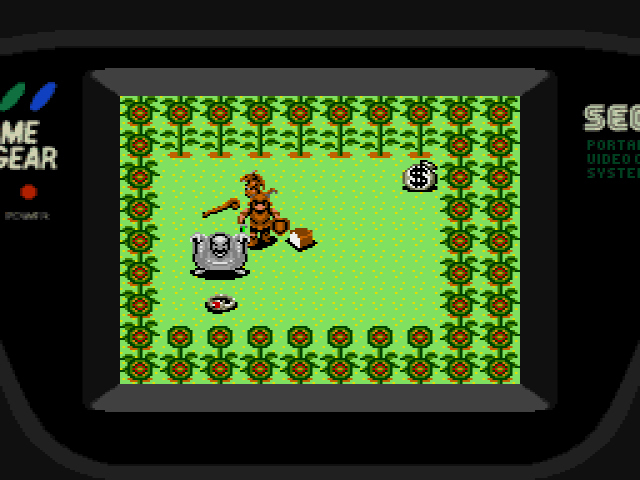 The combat moves a lot quicker too, perhaps because the enemies aren’t constantly blocking like cheap babies. 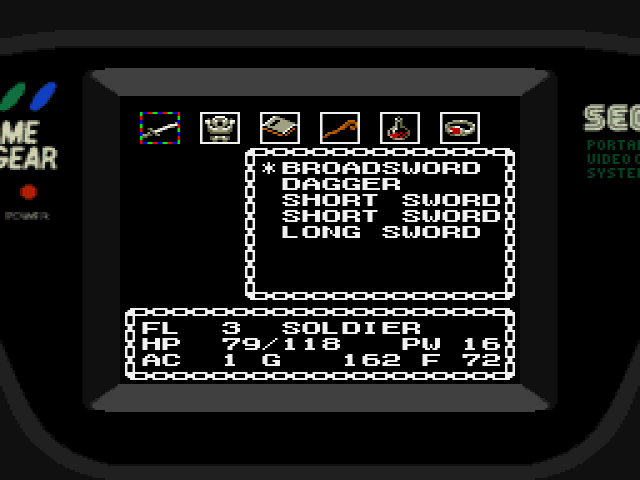 That said, while a strong weapon will get you through the first ten floors or so, you won’t be able to venture beyond the halfway mark without learning the effects of the potions, rods, books, and rings. If you take the time to use all weapons and items properly, even items with negative effects can be exploited for your benefit. All part of being awesome. Dragon Crystal also has a couple neat touches that affect the movement of the game. If you want your character to explore the floor faster, hold down the ‘Start’ button and he’ll buzz around like he drank three Rockstars. If you press Button 2, time will pass. This is helpful if you’re waiting for a status ailment to wear off or for a hidden passage to open up. Don’t let that dirty ninja get the best of you, fam. For those who want to get into retro roguelikes, but aren’t sure if they want to tackle a super frustrating challenge, Dragon Crystal is for you. Yes, the game does get more difficult as you progress, but unlike many roguelikes (including Fatal Labyrinth), Dragon Crystal provides you more than enough time to figure out what each item does, how to fight and explore, etc. before it ushers you into the tougher floors. The game certainly isn’t for everyone, but those looking for a meatier experience than your typical Game Gear fare could do much worse. That’s basically “The Dark Crystal”‘s font. Dragon Crystal is the only roguelike on the Master System (that I’m aware of), so let’s be thankful it made the journey from Game Gear in one piece. The color palette isn’t as sharp, the new theme music is much jauntier than the foreboding Game Gear theme, and some item names have changed, but otherwise, the two are pretty much identical. Whatever gets me a piece of that orange crystal. 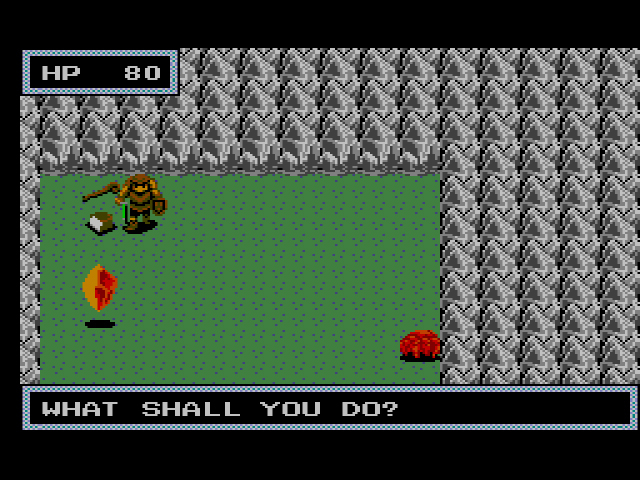 How badly do you want to play a Master System roguelike? From 1991 on, many Master System ports of Game Gear games only came to Europe and/or Brazil, due to the popularity of the console in those regions. Dragon Crystal is no exception. Emulation makes (almost) all things possible now, but if you’re in the States and you want to play Dragon Crystal on the telly, you’re gonna have to import. 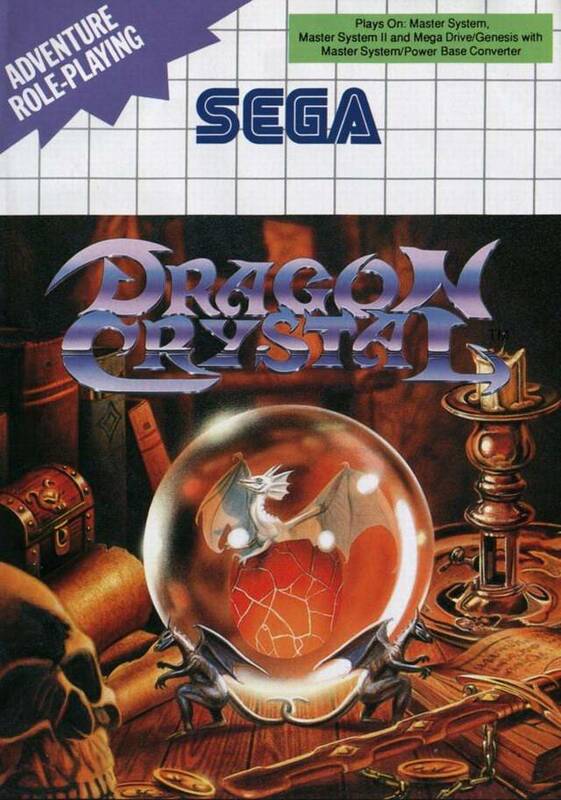 Didn’t realise that Dragon Crystal made it to the Master System! Sounds quite good too. Never really got into rogue likes and I’m surprised Sega had 3 out in 1991. Soooo much better than Fatal Labyrinth. I remember playing this one. One of my friends owned a copy. Good times…confusing tines, but good never the less. Nice. I’ve been a bit intrigued by this since seeing it on a list of GG releases back when I started getting into emulation in the late 90s. I didn’t know it was a roguelike but I’m glad it’s decent. Nice to finally play a Game Gear game that has some depth to it. Big Master System fan here and this is one of the best imports you can get that shows what the USA missed out on post discontinuation. It ranks up there with other import games like Laser Ghost, Road Rash, MK1, etc. I have lost many hours with this one on either system. The port may be a bit flawed, as the ending has a 50/50 chance of locking up and hanging the system, but at that point you’ve won. Worthwhile to keep a good secondary sword and armor in your inventory in case a scroll transforms it or the later snails melt it. 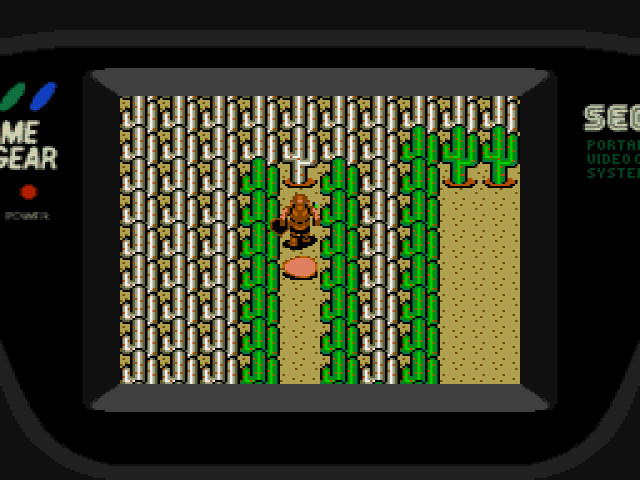 The egg, I assume, is a gameplay element to make it so you are never surrounded and can try to flee certain overwhelming situations. It’s a cool thought to have it transform as you level up. Too bad it can’t be a companion like Dogmeat from the Fallout series. You can get this game on the 3DS GG VC eshop. Port done by M2. Probrably on 3DS is the best way to play it these days. I was surprised at its quality, for sure. 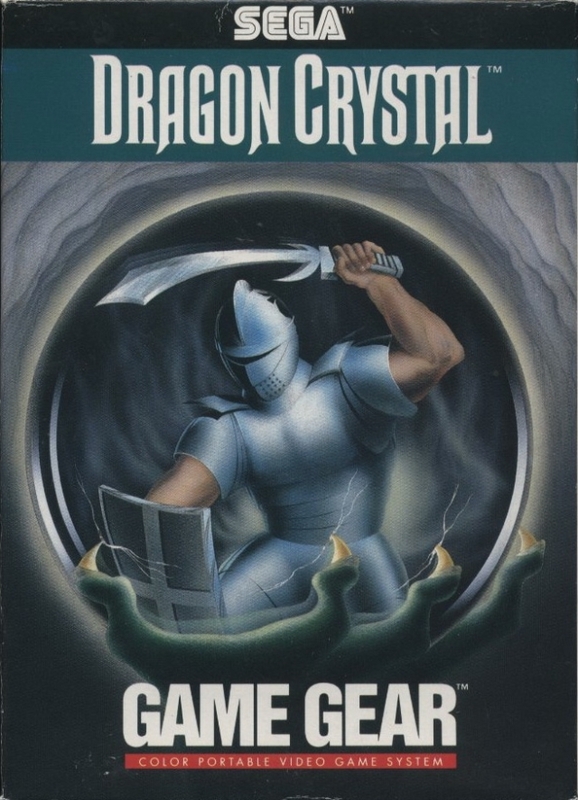 As I said over on the Fatal Labyrinth article, I got Dragon Crystal very early into my Game Gear ownership, and to this day it is my favorite GG game. It was my introduction to Roguelikes, and in many ways the perfect adventure game for the launch of the system. 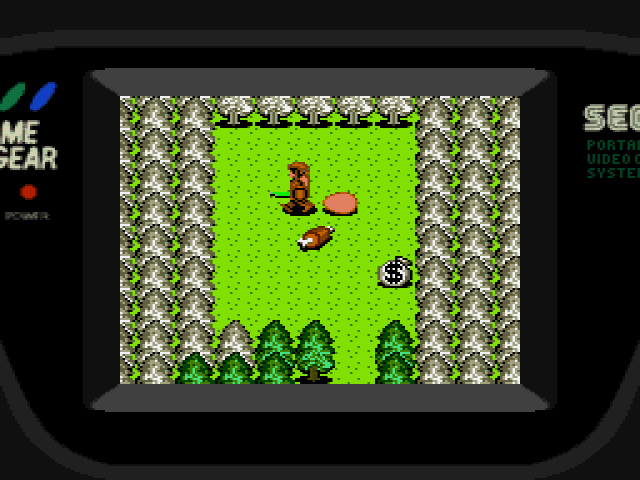 No need for a battery save, playable in relatively short bursts, no puzzles to solve or dialogue to read, just kill the monsters and find the exit. After some initial confusion on my part (“Wait, I don’t press 1 to attack… ?” “What, the Red Potion was a Minheal the last time!”), I “figured” this game out, and quickly fell under its charms. I still come back to it to this day, and it has made the Roguelike format one of my favorites (to the point that I am also currently playing Pokemon Mystery Dungeon and Adventure Bar Labyrinth). Regarding the egg and dragon: the dragon does not fight, but what he does is block the space behind you — so you cannot get surrounded on all sides. Glad to see that one of my favorites holds up well to someone who is new to it many years after its release. For a pick up and play Roguelike, Dragon Crystal is a sterling example.